The photographs Martin produces are representative of the way he views the everyday things around us. Martin may see common items in a different light or extract them from their surroundings in a way to make them more interesting or attractive. The subjects Martin photographs range from scenic to wildlife and still life. He also likes to capture items that bring to mind a bygone era, nostalgic images that will not be around much longer in their natural settings. Some of the photographs he takes require a lot of effort and forethought to get the right kind of lighting, composition and subject materials. Others are the result of having the equipment ready for the moment when that special image appears. 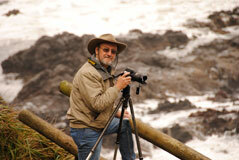 Martin has had award winning photographs in international, national, statewide and local publications. Although most images that he prints today use the giclee process, Martin still has prints in his inventory that were made using the chromogenic process. All of the photographs Martin produces are sprayed with a special photographic lacquer. This lacquer protects the print from premature fading as well as enabling it to be cleaned with a damp cloth or even a mild soap solution. It is because of this lacquer that Martin does not put glass in front of any framed print that does not have a mat, thus allowing the full impact of the image to come through. 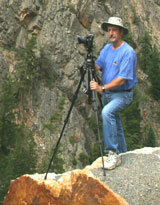 The equipment Martin uses depends on the subject matter and situation. Most images today are captured using DSLR's with lenses varing from 18mm to 500mm.